Any other mamas out there on the quest for convenient, healthy, and yummy meals for your kiddos? Sounds like a tall order, right? Well, I have good news for you! Meet Wise Apple. I was so thrilled when Wise Apple contacted me. 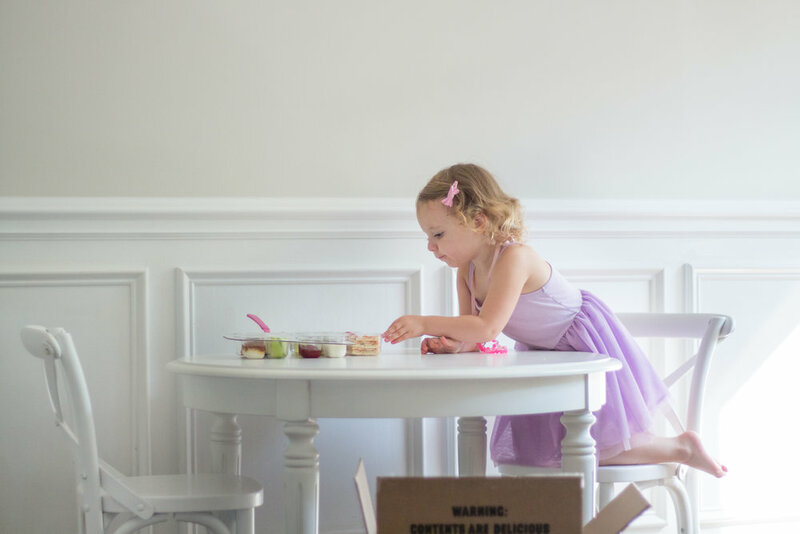 They provide balanced, yummy, perfectly portioned meals kids will love. And, they are delivered right to your door! They're perfect on the go (great for our lakefront picnics!) or for school aged kids to bring with them, and they're also great at home when you want something healthy and fast. Wise Apple uses organic and GMO-free ingredients and the food is made and delivered fresh to serve each week. It often seems convenient options aren't always the healthiest, which is really important in our house, so I love that there is an option to make my life easier, while still giving my girl nutrient heavy and safe food. Another feature I love is that their packaging is also completely recyclable. The food is stored in individual plastic pods (that Olivia loves holding onto and opening!) and those rest in a cardboard tray. Even the thermal lining and ice packs in the shipping boxes can be recycled! 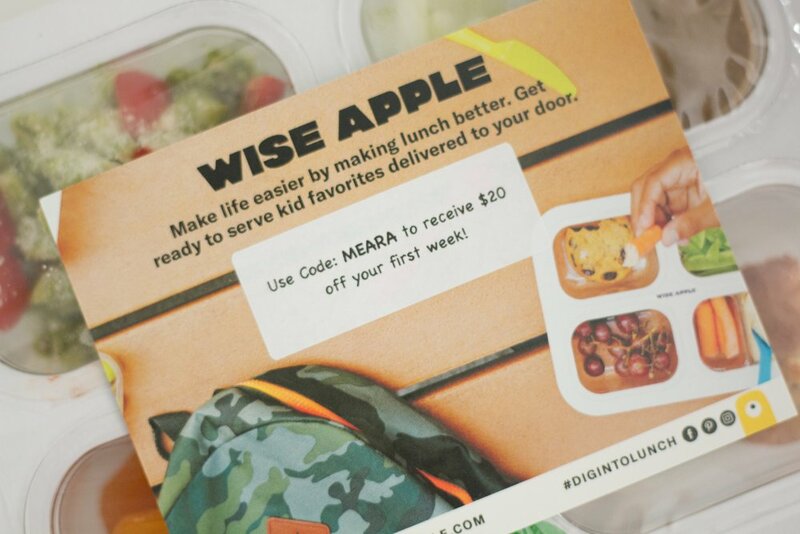 Wise Apple has a variety of plans to meet your family's needs and they are offering my readers $20 off their first week with code MEARA. They do deliver to other locations- not just Chicago, some sure to take a look. I hope you love them as much as we do!